It’s not a word you hope to hear, and it’s usually not something anyone anticipates. Most people who purchase a home intend to keep up on their mortgage payments and assume that they’ll one day be able to call a home theirs. Unfortunately, life is unpredictable, and unforeseen circumstances can get in the way. Maybe there’s an accident that causes someone to accrue medical bills, or a job is lost. Whatever the circumstances, it’s easy for even the most responsible borrower to become financially overwhelmed, even with a fully funded emergency savings fund. If you’ve already missed a payment, or are worried you might, the idea of having your home foreclosed on can be panic-inducing. So what should you do when an unfortunate twist of life comes your way? 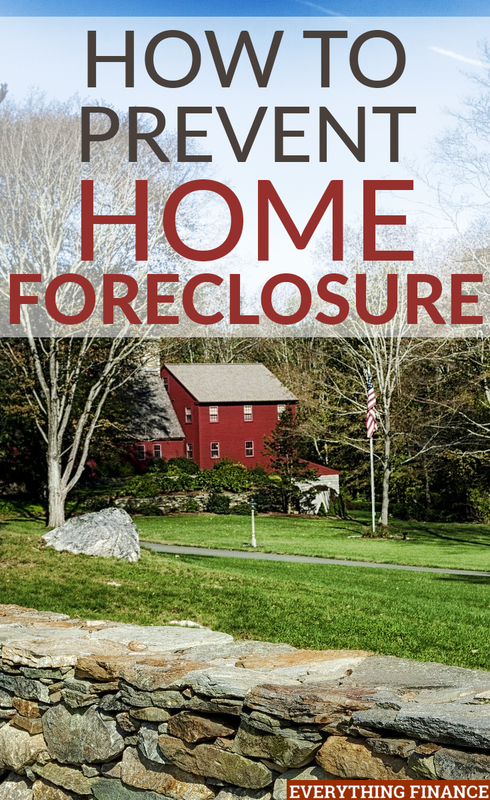 Remember to breathe and follow these tips on how to prevent foreclosure on your home. No lender or bank wants to foreclose on your home. To be honest, they’d prefer the money and interest you’d give them through your mortgage. If you’ve proven yourself as a valuable customer thus far, your lender may be more lenient and do what they can to help keep your mortgage going. Of course, if you haven’t proven yourself and have instead seemed like a bad borrower, your lender may choose to do the opposite. They might opt to go ahead with a foreclosure. The key in this situation is to speak with your lender before you’re in over your head with debt. The sooner you can present any problems or issues you have to your lender, the more they can assist you. If foreclosure is on your mind, the root of the problem is money, which is why now is a good time to look at your budget. Go back through your receipts and figure out how much you’ve been spending in various areas of your life. Maybe you’ve been spending too much on entertainment, clothes, or eating out. Whatever the issue might be, figure out where you’re coming up short. If you haven’t missed a payment, see if there are ways you can cut back on other things this month to make up the difference. If a payment has already been missed, see how you can improve for the future to ensure history doesn’t repeat itself. If your financial setback is a short-term event, like a few smaller medical bills or car repairs, you can probably speak with your lender about a short-term repayment plan. Again, if you’ve been loyal in your payments up until this point, most lenders will be happy to work with you. After all, they don’t want to have to foreclose on your home, either. See if you can set up an agreement that will allow you to pay the overdue balance over a specific period of time. You’ll bring your payment current and keep yourself from foreclosure. It’s understandable for things to get away from you at times. You may have thought that your mortgage agreement seemed doable when you originally agreed to it. However, if that’s not the case anymore, consider speaking with your lender about modifying your agreement. Whether you choose to adjust the payment amount, your interest rate, or the length of the loan, try to come up with a solution that will allow you to keep up with your loan. Another option is to consider whether or not you’re eligible for the government’s Home Affordable Modification Program, which was specifically designed to assist homeowners who have fallen into some sort of financial hardship. If you don’t feel as though you can make up your missed payment quickly, or modify your payment to a rate that works for you, you may want to try forbearance. This is another option that your lender may only agree to if your financial issue is temporary. Forbearance allows you to suspend or reduce your monthly payment for a certain period of time. It’s an option that allows you to handle your short-term financial issues and gives you the opportunity to get back on your feet and settle any payments you’ll miss. Of course, after your period of forbearance has ended, you’ll have to pay off the amount you accrued. You’ll be presented with various options for doing this so you won’t be immediately overwhelmed. Refinancing allows you to, in a sense, start over with a new mortgage. You’ll have new terms, monthly payments, and interest rates that will replace your current ones. This option could give you the chance to lower your payment and interest rates, allowing you to improve financially. This is often an option for home owners who have been current on past payments, have an adjustable rate mortgage or high interest rates, and who have equity in their home. You may want to shop around for the best loan options available to you, however, always start with your current lender first, as they might have special offers for existing customers. One of the greatest benefits to this option, unlike a repayment plan, loan modification, or forbearance, is that it in no way creates negative activity on your credit report. Just make sure you take steps towards this and get the paperwork done before you’re too close to the possibility of foreclosure. Foreclosure is scary word, and no one wants to think about the possibility of losing their home. Unfortunately, life happens, and we aren’t always able to predict the moments when hardship and fate come our way. Even the most financially responsible people can run into problems where they’re left unsure of their next steps. Thankfully, the anticipation of a missed payment, or an overdue one, doesn’t have to be the end of the world. There are options out there to assist you and help get you back on your feet, you just have to figure out which one is best for you. Have you ever faced foreclosure? What did you find most helpful?